If you’re a real estate agent, odds are you haven’t been closing as many deals lately. A slowdown in new construction and a short supply of existing homes for sale have pushed housing prices so high that would-be buyers are either finding themselves in bidding wars or sitting on the sidelines. “We’re hearing things from our real estate agents that we haven’t heard in three years about homebuyers stepping back from high prices,” said Redfin CEO Glenn Kelman on the real estate firm’s second quarter earnings call this month. What’s eating the housing market, in the midst of what otherwise looks like upbeat growth? In part, it’s a victim of the economy’s success: The Federal Reserve is seeking to keep inflation in check by raising interest rates, making mortgages more expensive. Meanwhile, a crackdown on immigration as well as tariffs on imported lumber have made it more difficult and expensive for builders to obtain the labor and materials they need to construct homes. That’s especially true in hot urban markets, where land is expensive and zoning can be restrictive, according to the National Association of Home Builders. Freddie Mac forecast on Monday that the housing market will stay slow for the rest of the year. But it doesn’t see any real trouble on the horizon. “The healthy economy and robust labor market should support homebuyer demand,” the mortgage giant wrote. Here’s what’s happening in the housing market now. New home construction surged following the recession, but has moderated in recent months. That has left many markets with a persistent lack of supply. That’s not just true in the for-sale market — the rental vacancy rate is also nearly as low as it’s been since the early 1990s. Although the closely-watched Case-Shiller Index showed on Tuesday that home price growth slowed slightly in June, the 20-city composite measure topped its pre-recession high at the beginning of 2018. Low inventory and high prices have slowed down the entire housing market, which is mostly made up of previously owned homes. Existing-home sales fell for the fourth straight month in July to their lowest level in over two years, the National Association of Realtors reported last week. 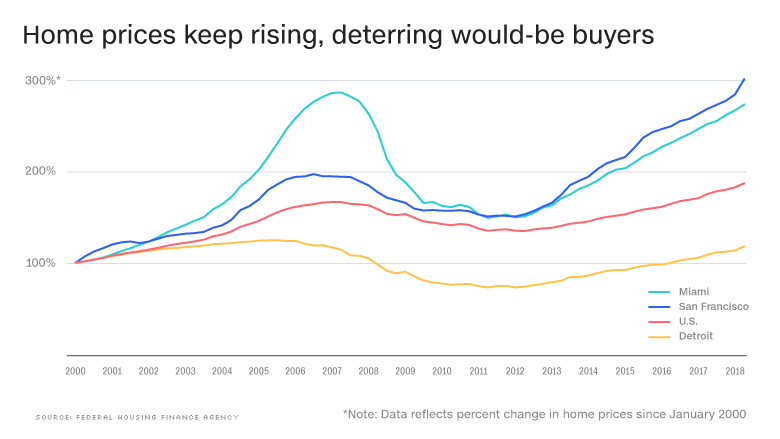 “Additional inventory will help contain rapid home price growth and open up the market to prospective homebuyers who are consequently — and increasingly — being priced out,” National Association of Realtors Chief Economist Lawrence Yun wrote on Monday. That creates a drag on the job market as well, since it makes it more difficult to pick up and move to a new city for better employment opportunities. Americans are already relocating far less than they used to. Foreclosures plagued the housing market during the financial crisis as borrowers struggled with loans they couldn’t afford and homes prices plunged. These days, borrowers are in much better shape, but there are signs that foreclosures are on the rise again. 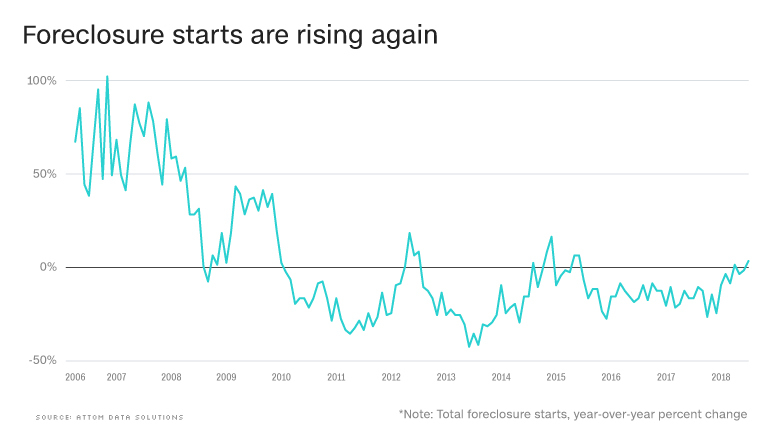 The housing analytics firm Attom Data Solutions found that foreclosure starts are increasing again for the first time since 2015. The trend is particularly visible in hurricane-hit cities like Houston, but also increasingly expensive places like Los Angeles. “We’re seeing enough in these bellwether markets that I think it’s an inflection point,” says Daren Blomquist, senior vice president for communications at Attom. 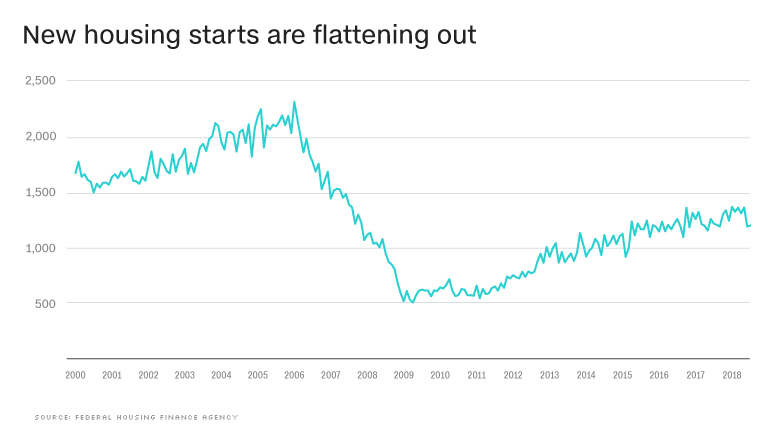 But as with the rest of the housing market, that turn in the numbers likely isn’t a sign of impending collapse. The loans having the most trouble are those that the Federal Housing Administration insured in 2014, when the agency was backing off on the very tight standards it had imposed during the great recession. Until recently, Christina Brouk was living with her parents. Now, still in her early 20s, she’s living the American dream of home ownership — the same dream that’s grown elusive for many young adults since the housing bubble peaked 10 years ago. Homes in many areas of the United States have become so costly that few but high earners can afford them. Rising rents have made it hard to save enough to buy. Cities that offer plentiful jobs for educated young adults — New York, Boston, San Francisco, Seattle, Washington D.C. — have become prohibitively expensive home markets. Then there are the exceptions. St. Louis, near where Brouk lives, is one. So are Minneapolis, Pittsburgh and Kansas City, Missouri. In those areas, homes remain comparatively affordable relative to local incomes. An improved U.S. economy has fueled job and pay growth. Throw in historically low mortgage rates, and ownership is still within reach — even for those just entering their careers at modest salaries. The St. Louis metro area, situated squarely in the Rust Belt, might seem an improbable place for a stable housing market. The local economy is far diminished from its peak decades ago as a hub of muscular industrial giants. Many corporations like brewing giant Anheuser-Busch that once were based here closed, moved or merged. This year, the NFL’s Rams cited rosier economic opportunities in Los Angeles as a reason for their decision to return to the West Coast. Yet having never experienced the heights of the housing bubble, St. Louis never absorbed the full brunt of the bust, either. Its economy has remained reasonably steady compared with turmoil elsewhere in the country where foreclosures caused demand for rentals to surge. A tech corridor in the city’s Central West End is attracting some higher-paying jobs at companies like Square, a mobile payment company founded by Jack Dorsey, a St. Louis native who co-founded Twitter. Jobs in health care and finance continue to grow, economists say. The metro area’s unemployment rate is just below the national level of 4.9 percent. And home prices remain roughly in line with area incomes. Nationally, home ownership is near a 48-year low. A key reason is that surging rents and home prices have made it next to impossible for many people to save enough to buy — even though today’s ultra-low mortgage rates have the effect of lightening housing bills. An analysis by The Associated Press found that monthly housing payments have dropped in the past decade while rents have climbed. Yet in the St. Louis area, buyers in the 25-34 age group are having a comparatively easy time, data tracked by Realtor.com shows: Those young buyers make up 40 percent of purchase mortgages in the metro area, compared with an average of 35 percent nationally. The median home value in the St. Louis metro area is $152,000, $24,000 less than the national average and far below many other big cities, especially on the coasts, said Charles Gascon, an economist for the Federal Reserve Bank of St. Louis. And, the median household income of $56,041 is about $2,700 above the national average, Gascon said. Brouk and Schmittgens lived separately with their parents as they spent months searching for just the right home. They found it in Imperial, a town of 5,000 a half-hour south of St. Louis. They agreed to the $140,000 asking price the day the home hit the market, grabbing it before other buyers could make an offer. The brick home, on two-thirds of an acre, lies on a quiet cul-de-sac adjoining a wooded area. It needed some work. The young couple replaced the carpets and painted the walls. Next up, they’ll redo the kitchen cabinets and finish the basement. Another millennial, Kelsey Funk, paid $113,000 last year for a three-bedroom home that sits near the historic Main Street in St. Charles, Missouri, another suburb. Low prices have benefited housing markets throughout the Midwest, said Jonathan Smoke, chief economist for Realtor.com. “I think affordability turns into a major selling point for the market — not just for individuals who stay there and put down roots, but also to attract other people, including attracting businesses,” Smoke said. For Funk, there’s nothing like the pride and contentment of having her own home. The decision by United Kingdom voters to exit the European Union was roiling financial markets Friday, with the Dow Jones Industrial Average and the Nasdaq indices down between 3 and 4 percent midday. The historic vote could have huge implications for international investment of all kinds, but one expert says the Puget Sound region’s commercial real estate market likely won’t be dramatically affected by the so-called Brexit vote. The one real estate exception is the industrial market. Gerard Mildner, director of Center for Real Estate at Portland State University said the direct impact of Brexit will mostly be felt by Britain and the EU and will probably have a minimal direct impact on the United States’ economy and commercial real estate. International investments by overseas buyers in the greater Seattle area has been soaring. But unlike Chinese investors, who poured more than $1 billion into commercial real estate investments in the region in 2015, UK investors invested a mere fraction of that. British investors bought nearly $40.2 million worth of commercial real estate in the Seattle region last year, according to Real Capital Analytics. That compares to nearly $1.1 billion by Chinese investors. In late 2014, the U.S. affiliate of St. Bride’s Manager, a global real estate investment manager headquartered in London, paid nearly $10.1 million for a downtown Seattle office building. Peter Orser, interim director of the University of Washington’s Runstad Center for Real Estate Studies, said that it’s too early to tell what effect Brexit will have on the region’s commercial real estate market. The Brexit vote will have repercussions for the banking industry, which he said will have a latent effect on property markets. Mildner said the risk is that other countries will copy Britain and impose trade barriers. The most exposed U.S. sectors will be export businesses, such as aerospace, agriculture and technology, and port-related industrial property and the financial industry. Microsoft (Nasdaq: MSFT) stock was down more than 4 percent, and Boeing (NYSE: BA) was off 5 percent. Wheat prices dropped less than 1 percent. Stock of Prologis (NYSE: PLD), a global warehousing company with facilities in the Puget Sound region, was down nearly 4 percent. Marc Stiles covers real estate for the Puget Sound Business Journal. Britain’s decision to leave the European Union is the event that American regulators and bankers have been preparing for since the 2008 financial crisis. A day after American banks took a victory lap after demonstrating to regulators they could survive a hypothetical economic and market shock, as part of the Federal Reserve’s annual stress test, the real test came on Friday. The market shocks will allow regulators to see whether all the capital American banks have been required to stockpile since the crisis is truly enough to weather real world chaos. The fallout from Brexit, as the British withdrawal is commonly known, is also likely to show whether new financial regulations have stopped banks from taking risks on proprietary trading — or using their own money to make big investments on assets like currencies and corporate loans. It could take days or weeks before the resilience of the American banks to the fallout from the British vote becomes clear. And there is a chance that some nasty surprises could emerge even further down the road. A large hedge fund client, for example, could suffer from an outsize bet and default on its bank loans. On Friday, share prices of large American banks fell, although not nearly as much as the stock prices of their European counterparts. Bank of America shares fell more than 5 percent, Citigroup was down more than 7 percent at one point, and JPMorgan Chase fell more than 4 percent earlier in the day. Those are big movements, but nothing to suggest that investors in banks fear anything close to cataclysmic. The biggest downside for the American banks is the likelihood that volatile stock and credit markets will cut into the lifeblood of their investment banking operations: trading revenue and the fees they charge to advise on mergers and acquisitions or initial public offerings. Investment banking revenue had already proved to be fickle for the banks, even before the referendum. And analysts expect Britain’s exit from the European Union to dampen deals and trading activity globally for the foreseeable future. Don’t expect the appetites of Chinese real estate investors for Seattle-area property to be sated anytime soon. If anything, the desire among Chinese investors for real estate here is “increasing dramatically,” said West Coast real estate services company Kidder Mathews Executive Vice President Skip Whitney, who heads his company’s China Services division. One reason is the lack of opportunities in the Bay Area. San Francisco has been “picked over,” Whitney said. Kidder created the China Services division four years ago. “We are now starting to reap the benefits, and it’s just going to get bigger. I’m not seeing anything that’s slowing us down,” said another Kidder executive, Brian Hatcher, who works in Bellevue. Kidder Mathews is working with around eight Chinese groups looking to buy commercial real estate in the Puget Sound region, according to Whitney, who works out of Kidder’s San Francisco office. He said most of the shoppers are looking for development deals because they want to establish a platform to build projects, not just invest in real estate. Chinese investors’ interest in the Puget Sound area is a relatively new phenomenon. “Three years ago we couldn’t get anyone to look at Seattle. Now everyone wants to look at Seattle,” said Whitney. Whitney said the Seattle region’s similarities with the Bay Area are helping drive investments. Tech companies are fueling both region’s economies, and this makes the Chinese feel “very comfortable” buying in the Puget Sound region. Chinese investment and development companies, especially state-owned enterprises, are trying to move money offshore to diversify their holdings in areas with opportunities for strong returns. The investors are homing in on Seattle, which they now see as a first-tier global investment market. This perception was further raised last month when Seattle Mayor Ed Murray traveled to China for a trade mission. During that trip it was announced that China’s largest homebuilder plans to invest in a 43-story apartment tower planned for a site near the Space Needle. Since then a Chinese company called Create World America has paid a total of just over $33.3 million for two development sites in Seattle, including one near Pike Place Market, where a condo tower is planned, and one in South Lake Union, where Create World hopes to start construction on an apartment high-rise this fall. If you thought Seattle’s housing market couldn’t get any crazier, you were wrong. The median price of single-family houses that were sold in February in King County hit a record high of $514,975. That’s up 19.8 percent, according to a report that the Northwest Multiple Listing Service issued Monday. For condominiums the price surge was even higher: 26 percent with a median sale price of $323,975. Price increases for houses were not nearly as sharp in Kitsap, Pierce and Snohomish counties but they’re still up 7 to 9 percent. Condo prices in these counties actually declined. The pace of sales is brisk – the number of homes sold in the first 30 days of being listed was double what a normal, healthy market would look like, according to John L Scott Real Estate Chairman and CEO Lennox Scott. With residences getting gobbled up as soon as they hit the market, it’s “a Pac-Man market,” he said. 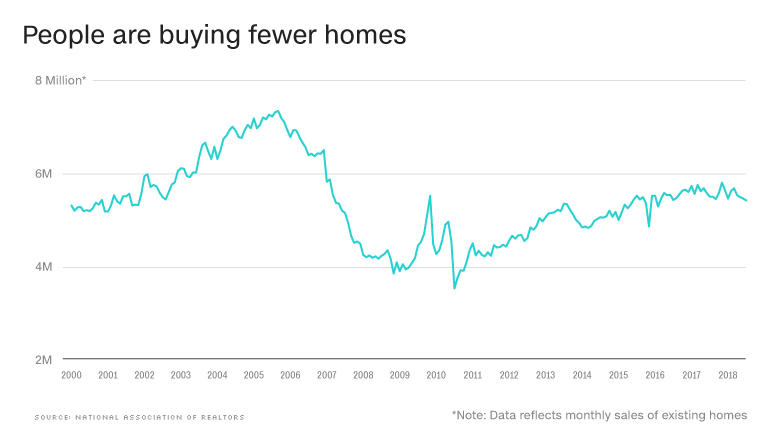 For buyers, it’s not going to get better anytime soon. Scott said starting this month, the market will see an explosion of sales activity that will last until October. The reason for the frenzy is a shortage of houses for sale. Across the four counties, 6,131 condos and houses were on the market last month. That’s nearly a full third fewer than in February 2015. The number of pending sales, meanwhile, is up in all but King County. Sales increased almost 15.75 percent in the region’s least expensive county, Pierce, where the median sales price for condos and houses was $249,250. Kitsap’s median price of $253,000 was second lowest. Snohomish County’s median price was $327,500 and King’s was $439,950. Windermere Real Estate President O.B. Jacobi said the month’s big story is the nearly 20 percent jump in prices for houses in King County, where pending sales were down nearly 5.6 percent. Some priced-out buyers are looking at condos, with the number of closed sales way up in all but Kitsap County. The number of sales increased almost 56 percent in Snohomish County, where the median sales price was $236,000. It’s a similar story in Pierce County, with closed sales up 30 percent; the median price was $207,000. Even in pricier King County, closed sales surged 21.4 percent. The number of sales in Kitsap, where the median price was $119,800, fell by 21.4 percent, though this is based on only 11 sales. The impact of plummeting oil prices has shown up in the financial picture of U.S. banks, whose losses from loans increased for the first time in five and half years, according to new government data. U.S. bank earnings jumped 11.9 percent in the final three months of 2015 compared with the previous year as revenue rose. Legal expenses declined as some big banks wound down legal settlements that arose from the financial crisis. But the data issued Tuesday by the Federal Deposit Insurance Corp. showed an increase in loan losses for the industry for the first time in 2009, during the crisis. The increase in loans that banks wrote off as uncollectible was especially strong — 43.4 percent — for industrial borrowers as tumbling oil prices hurt energy companies. Falling oil prices over the past year and a half — now hovering around $30 a barrel for crude oil from a $100 high in mid-2014 — have sliced into the profits of energy companies and put projects on hold. Big Wall Street banks have made loans to energy companies to finance oil production in Texas, North Dakota and elsewhere. As cash flow from oil sales has trickled, some companies are straining to repay their loans. The fallout has come fast. The six largest U.S. banks — JPMorgan Chase, Goldman Sachs, Citigroup, Morgan Stanley, Wells Fargo and Bank of America — have tens of billions of dollars of exposure to risky energy loans that won’t all be paid back. The value of those loans will have to be written down even further, and bank profits are going to take a hit, the credit agency Moody’s has said. The energy-related loans on the balance sheets of the biggest banks represent only a small percentage of their overall lending, but the losses will be noticeable. Smaller and regional banks that operate in areas like Texas and North Dakota and cater to energy companies also are feeling the pain. This ripple for banks comes amid a steady recovery in the banking industry since the crisis struck in the fall of 2008. The FDIC reported that U.S. banks earned $40.8 billion in the October-December quarter, up from $36.4 billion a year earlier. More than half of all banks, 56.6 percent, reported an increase in profit from a year earlier. Only 9.1 percent of banks were unprofitable. The number of “problem” banks on the FDIC’s confidential list fell below 200 for the first time in more than seven years, since the financial crisis. FDIC Chairman Martin Gruenberg took note of the impact of the steep fall in oil prices. In the fourth quarter, banks increased the amounts they set aside to cover potential losses on loans by 45.5 percent, or $3.8 billion, from a year earlier, the FDIC reported. That brought the total set aside for the latest period to $12 billion — the highest level in three years. And lending grew by 2.3 percent, driven by a mostly seasonal increase in credit card balances and a rise in commercial and industrial loans. The number of banks on the FDIC’s “problem list” fell to 183 from 203 in the third quarter. The number of bank failures continues to slow, marking eight last year. That is still more than normal. In a strong economy, an average of four or five banks closes annually. But failures declined from 24 in 2013 and were down sharply from 157 in 2010 — the most in one year since the height of the savings and loan crisis in 1992. The decline in bank failures has allowed the deposit insurance fund to strengthen. The fund, which turned from deficit to positive in the second quarter of 2011, had a $72.6 billion balance at the end of December, according to the FDIC. That was up from $70.1 billion at the end of the third quarter. Home buyers in the Puget Sound region “break even” on a home purchase in 1.9 years. The “Breakeven Horizon” study, published by Seattle online real estate company Zillow found that home buyers across the country break even on a home purchase in less than two years in 70 percent of housing markets. Zillow credits the short time frame to low interest rates, rising home values and rising rent. The average rent for an apartment in Seattle is $1,931 per month. The study, featured in the paperback edition of “Zillow Talk: Rewriting the Rules of Real Estate,” defines the breakeven horizon as the number of years after which buying is more financially advantageous than renting. The study notes that, nationally, those under 35 remain employed at the same place for about three years so buying may not make sense, even if paying a mortgage would be more affordable. One prominent analyst — Matthew Gardner, chief economist of Seattle-based Windermere Real Estate — recently told the Business Journal that millennials in the Puget Sound region will begin to buy houses in 2016 because confidence in the housing market will grow. The median price of a King County home is now about $508,000. Dallas has the shortest break even point, at 1.3 years. Washington, D.C., has the longest, at 4.5 years. San Francisco bank Wells Fargo Wednesday said it has agreed to fork over $1.2 billion to settle allegations that it fraudulently certified loans in connection with a government insurance program. In a 2012 lawsuit, the U.S. government accused Wells Fargo of sticking it with “hundreds of millions of dollars” in Federal Housing Authority insurance claims as a result of years of “reckless” underwriting and fraudulent loan certification. As a result, FHA had to pay out insurance claims on thousands of FHA-insured mortgages that defaulted, the government said. On Wednesday, Wells Fargo said it had “reached an agreement in principle” with the parties that brought the complaint, including the U.S. Department of Justice, the U.S. Manhattan Attorney’s Office the U.S. Attorney’s Office for the Northern District of California, and the U.S. Department of Housing and Urban Development. The settlement is expected to retroactively ding the bank’s 2015 net income by $134 million, or 3 cents a share, to $22.9 billion, or $4.12 a share, the bank said. The lawsuit alleged that Wells Fargo recklessly underwrote loans backed by FHA insurance from at least 2001 to 2010. In that time, the bank certified over 100,000 FHA loans as meeting HUD’s requirements and therefore eligible for FHA insurance, even though the loans had not been properly underwritten and did not meet HUD’s requirements, the lawsuit said. Wells Fargo also internally identified 6,558 seriously deficient loans that it was required to self-report. But rather than reporting the loans as required, the bank concealed 6,320 of these improperly certified loans, the government alleged. Eight years after the mortgage meltdown of 2008, big banks continue to pay hefty fines for their alleged contributions to the crisis, including faulty underwriting and their handling of risky mortgage-backed securities, or loans bundled and then sold in slices to investors. Last month, Goldman Sachs announced a $5.1 billion tentative settlement of a federal and state investigation of the investment for its handling of mortgage-backed securities leading up to the financial crisis. Brooklyn? It’s a joke. San Francisco? So last year. The hottest real estate markets in 2016 are going to be Providence, St. Louis, and San Diego — in that order. That’s according to Realtor.com, which places the St. Louis metro area at No. 2, ahead of not just San Diego but top-10 markets Sacramento, Atlanta, New Orleans and Charlotte. It shows St. Louis real estate inventory moving faster than the U.S. overall, online listings getting more views than other markets, and demand increasing as the local economy continues to improve. “Next year looks to be the best year St. Louis has had in quite some time,” says Jonathan Smoke, chief economist for Realtor.com. “We’ve been seeing strong demand in St. Louis, and if anything, it’s stRealtor.com predicts that single-family home sales in the St. Louis area will increase by 8.6 percent compared to 2015 — with median home sale prices up 10 percent. St. Louis also finished third in the website’s analysis of a market’s success with “young Gen-X homebuyers,” finishing behind only Atlanta and Denver, and just ahead of Charlotte, in terms of its 2016 prospects with those between the ages of 35 and 44. Indeed, Smoke notes that, of all mortgages made in the St. Louis area this year, 42 percent are for buyers ages 25 to 34. That’s something you’re not seeing in California or New York. “It’s an extremely attractive market from the affordability standpoint,” he says. “It’s a great opportunity for anyone looking to start a family, or especially Gen Xers, who were most negatively influenced by the last housing downturn.” They bought their first home at the peak of the market, Smoke notes, and subsequently suffered the largest share of foreclosures. Now, in St. Louis at least, Gen Xers are showing they’re ready to try again. And with the area poised to see job growth and household income rising at a pace faster than the national area, the housing market overall could be hot, hot, hot.